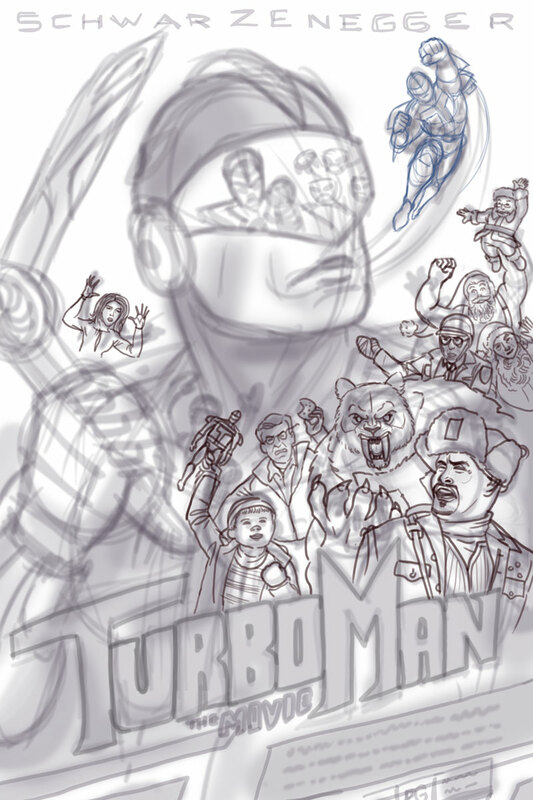 Turbo Man the Movie The Poster! 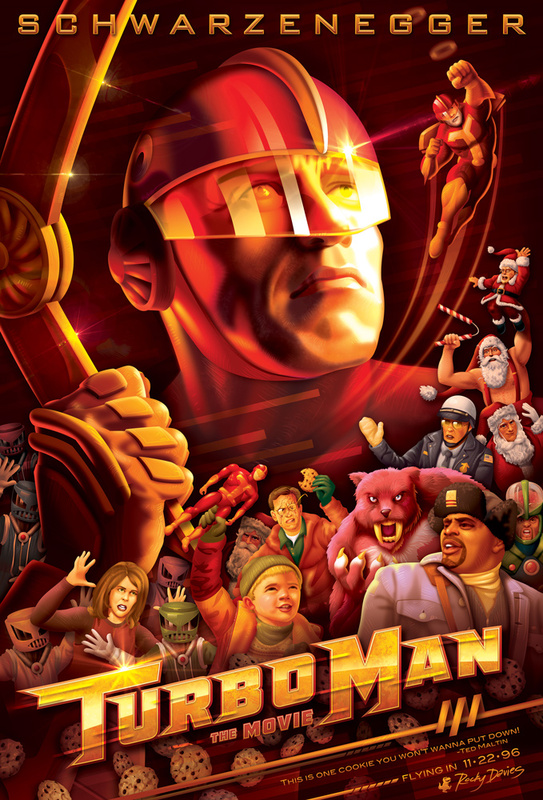 I was invited by the incredible world renowned pop culture location, Gallery 1988, to participate in their cult movie exhibition “How Did This Get Made.” They had a list of movies to choose from the same named podcast. I perused the list and saw Jingle All the Way and I stopped. I had found my subject! I love that movie. I watch it every Christmas. The awesome thing is that the film’s director, Brian Levant, saw my poster in the gallery and he bought it! He had some very kind words for me. 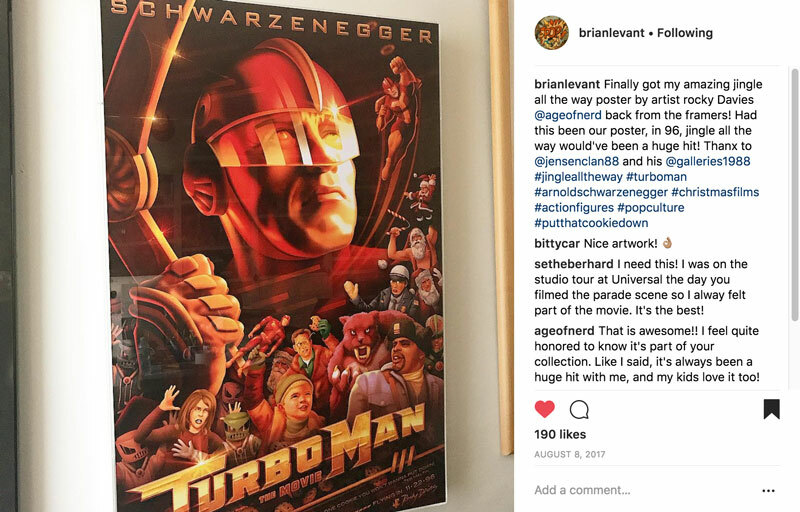 He framed it and now has it in his personal collection! How sweet is that?